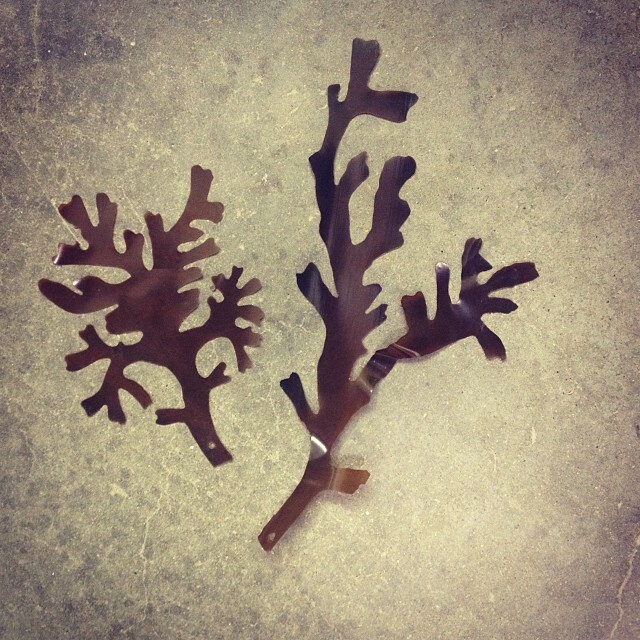 Rockweed Flat Cut-Outs are simply flat shapes cut from kelp colored sheet stock approx .010″ thick. The standard color is a brown kelp color, but a red color is also available. We offer two styles. Style #2 is 6.5″ (16.5 cm) tall by 4.75″ (12 cm) wide. Style #3 is 11.25″ (28.5 cm) tall by 5.25 (13 cm) wide. These rockweeds are sold by the single branching section, however, custom assemblies are available. Rockweed Flat Cut-Outs Style #2 (left) and Style #3 (right).